Kids can help preserve our country’s natural beauty and the Earth’s resources by choosing to create sustainable habits in their daily lives. Kids can be kind to the environment by growing their own organic raised veggie bed garden. Organic gardening improves the soil, air, and water in the garden, as it uplifts the spirit, renews the mind, and recharges the body of the gardener. 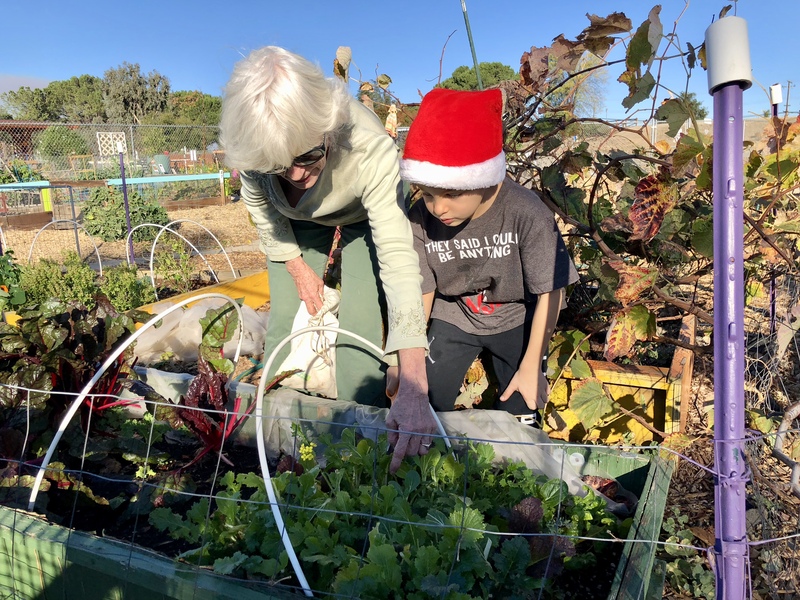 Kids can compost their leaves, weeds, newspapers, and vegetable kitchen scraps to provide the best fertilizer for their garden and have less waste going to the landfill. Kids can plant native plants and wildflowers to encourage pollinators to stay in their garden. Kids can harvest water right where they live and use the water for their fruit and veggie gardens by attaching a rain barrel to the down spout from their roof. Families can buy local, in season, organic produce at the Farmers Market, saving the environment from transportation emissions. Eating seasonal organic food, protects the environment, reduces climate change, supports local economy, and preserves heirloom varieties of plant foods. When kids eat a variety of different colored fruits and veggies, they get all the nutrients they need to grow healthy bodies as different foods provide different nutrients. Kids can freeze or can their harvests and swap produce with their gardening neighbors. Canning jars can also be used for storing leftovers in the refrigerator as plastic leaches chemicals into the food. Kids can cut back on litter in the land fills and ocean by using their consumer power and purchasing sustainable school supplies. Kids can use recycled paper that doesn’t use any new trees and get a reusable lunch kit filled with a metal water bottle and utensils. Kid can use parchment paper instead of plastic wrap, cloth towels instead of paper, and continue to reduce, reuse, and recycle.